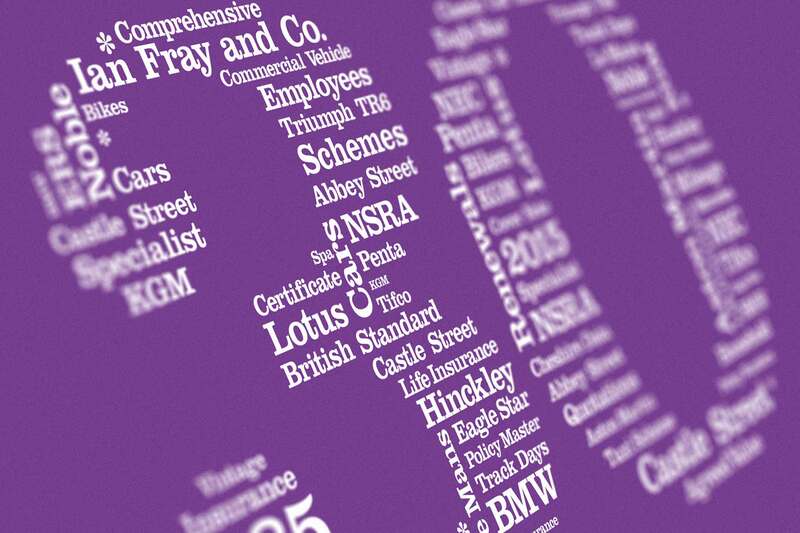 30 Years of ClassicLine Insurance – We made it! 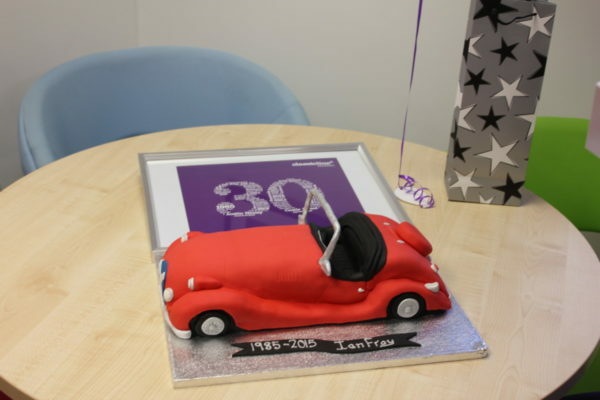 Home » 30 Years of ClassicLine Insurance – We made it! 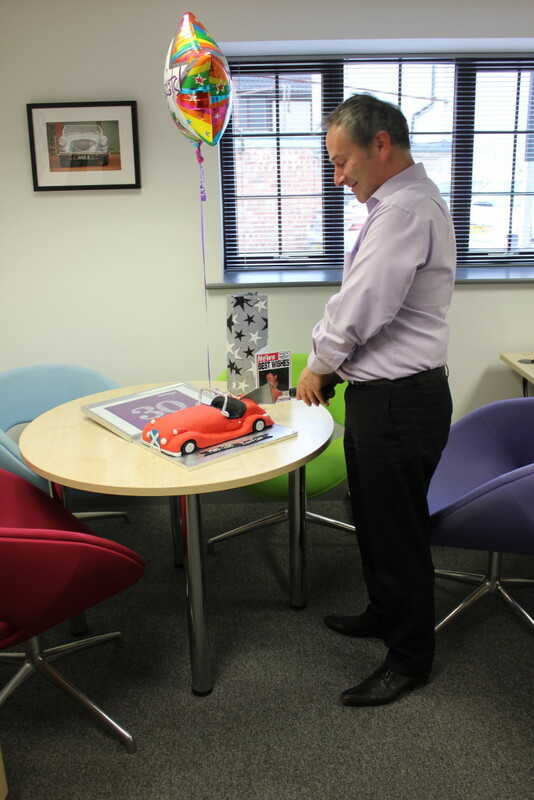 On the morning of Wednesday 2nd December, top-secret plans were in play to surprise our Chairman, Ian Fray, and a buzz went around the office to ensure we kept everything hush-hush. 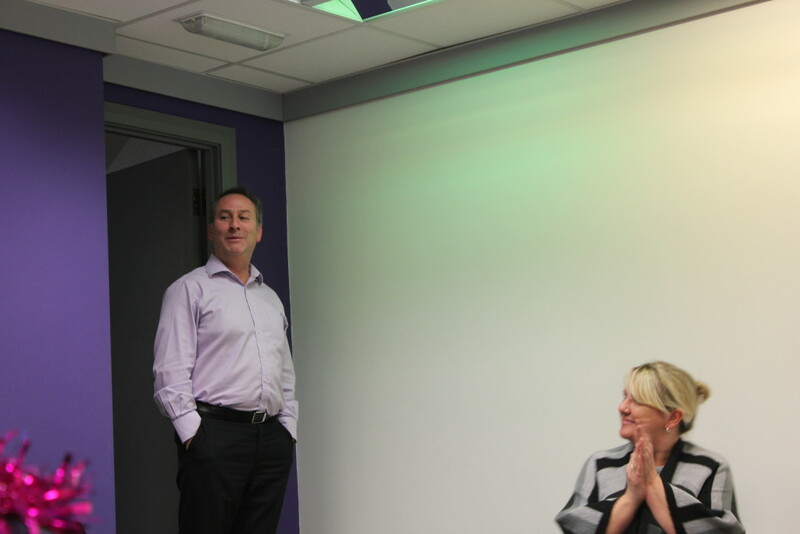 To show our gratitude and to honour the company’s journey, our team came together and bought a few token gifts to make Ian feel appreciated! 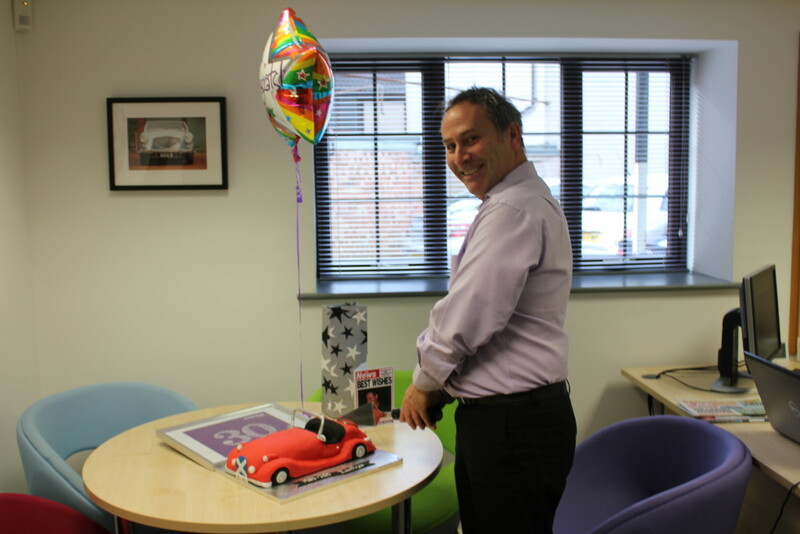 Judging from the reaction we received from him, he wasn’t expecting it at all when longest standing staff member Kathy collected him from his office. We heard titters from the other room and realised the penny must’ve dropped as he would’ve realised the significance of this day. However, he still very humbly approached the office and seemed overwhelmed to see us all standing for his pending arrival. As we gave him a round of applause, he modestly thanked us and said a few words with regards to our efforts, the company’s growth and it’s future. 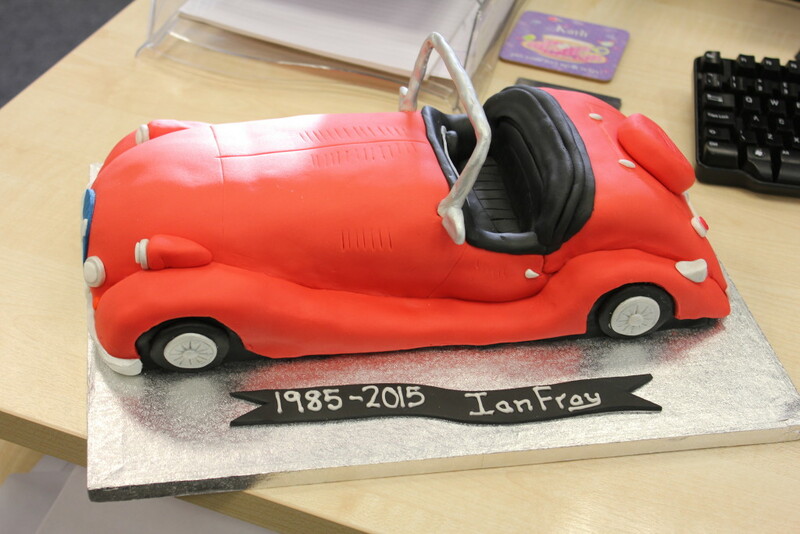 Special mention has to go the very impressive classic Triumph cake, made by Kathy’s friend. It certainly was both very appropriate for the celebrations and impressive to look at! This was a lovely moment and a rare one where all staff members came together as one, from all departments, and celebrated the great achievement. 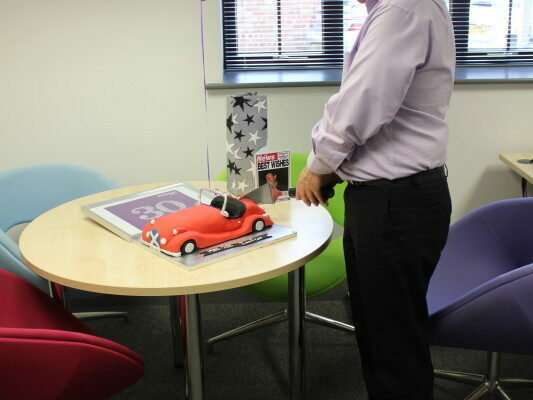 And of course, what goes with out saying, we all raised a slice of cake to the next 30 years of Classicline. Here, here!